Born Aug. 7, 1986 Paul Biedermann is a German swimmer and the holder of two world records. Biedermann was born in Halle, and has been around the swimming scene for a while, competing at the Beijing, London and Rio Olympic Games. At the 2015 German Nationals, Biedermann confirmed he would retire after his third and final Olympics. Some of his hobbies include listening to music, watching hockey and being on the computer. 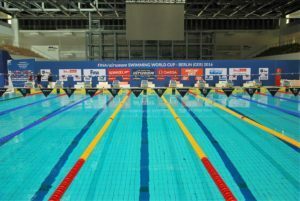 Biedermann broke the 200m freestyle and 400m freestyle world records in 2009 – his 200m freestyle record is one of the rare records from the polyurethane suit era that still stands. 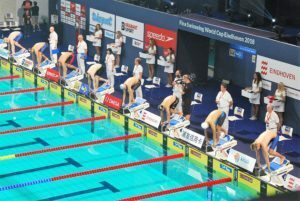 In the history of his swimming career Biedermann has set 20 new German Records. Biedermann won his prime event, the 200m freestyle, at the 2008 European Championships. He qualified for the Beijing Olympics, finishing 5th in the 200m freestyle and 17th overall in the 400m freestyle. 2009 was a huge year for Biedermann – he won the 400m freestyle at the 2009 World Championships, winning the event in the last 50 meters, and breaking Ian Thorpe’s world record that had been held since 2002. Just a few days later, he shocked the competition again when he beat Michael Phelps in the 200m freestyle, taking off nearly four seconds and breaking his second world record of the meet. The following year Biedermann won gold in the 400m freestyle at the Short Course World Championships, but finished only fifth in the 200m freestyle. In 2011 Biedermann picked up some hardware when he swam at the 2011 World Championships – he won three bronze medals in the 200m freestyle, 400m freestyle and the 400m medley relay. 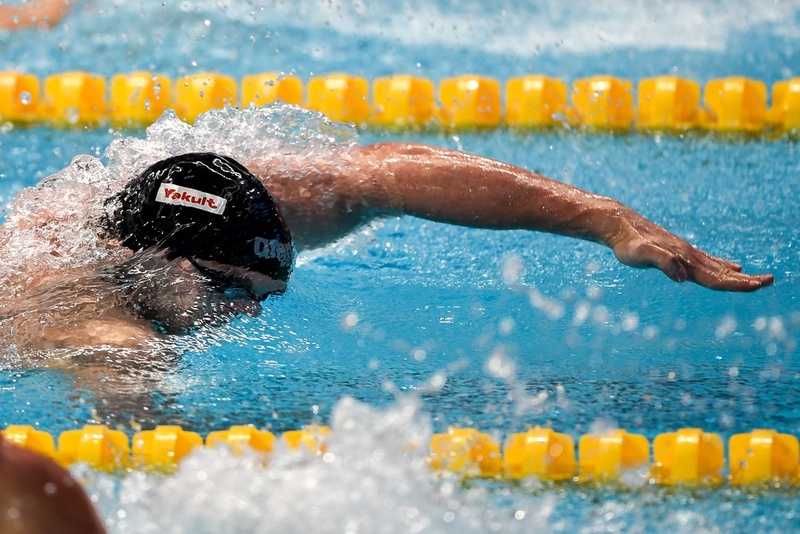 Biedermann swam at the 2012 London Olympics, failing to win a medal. 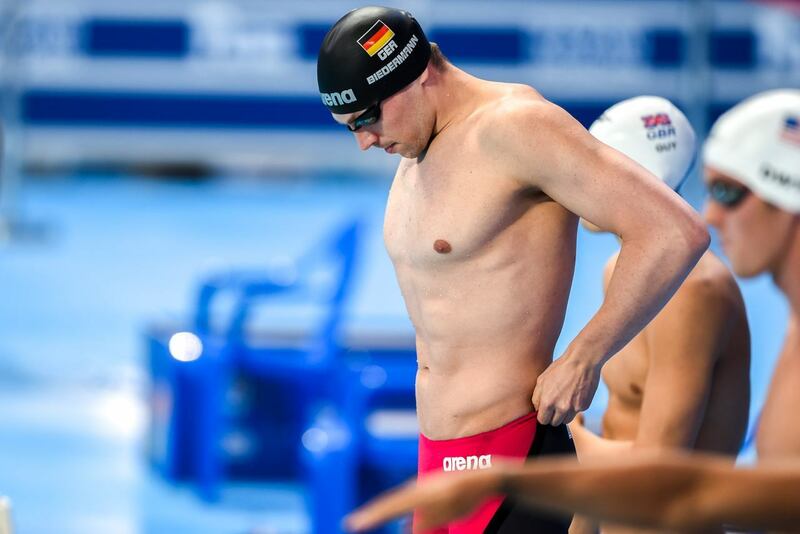 After the 2012 Olympics Biedermann took a nine-month long break from the pool due to illness, and began his comeback at the Saxon Open Short Course Championships, basically missing the entire 2013 season. 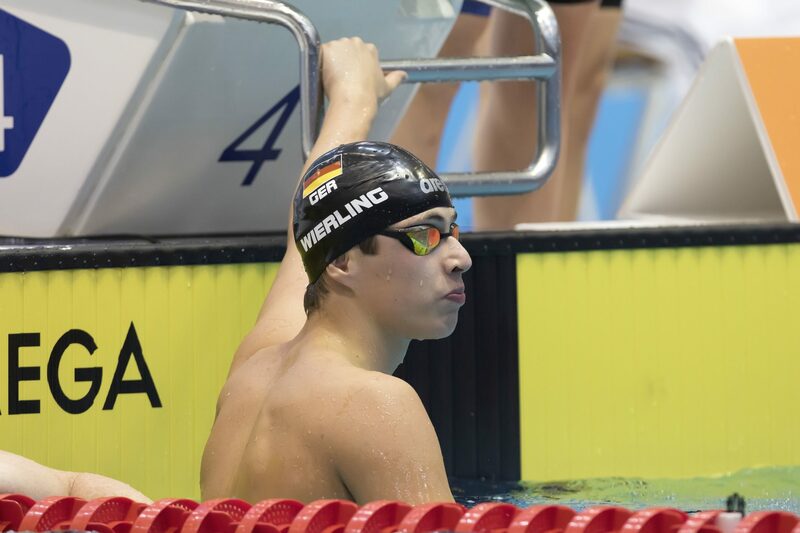 After his return he competed at the German Nationals in early 2014, Biedermann won the 400m freestyle and later nabbed the 100m freestyle title as well. 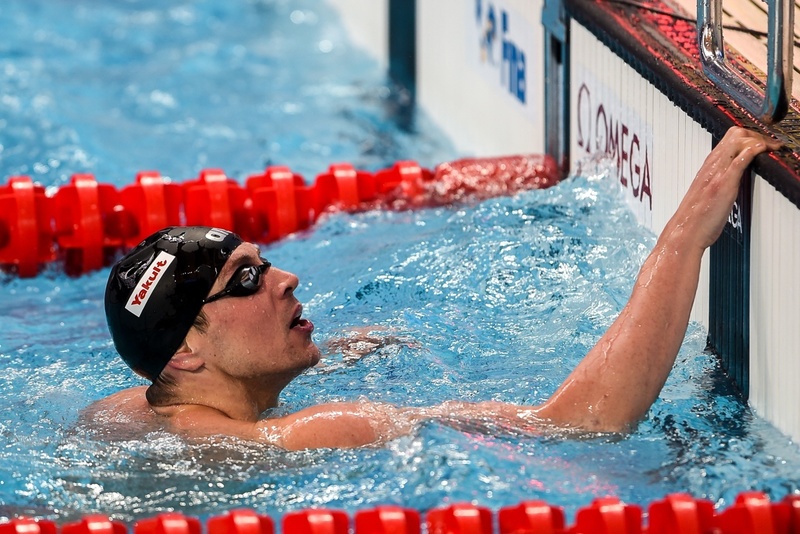 At the year’s European Championships Biedermann won the 200m freestyle title, beating out Hungary’s Dominik Kozma. 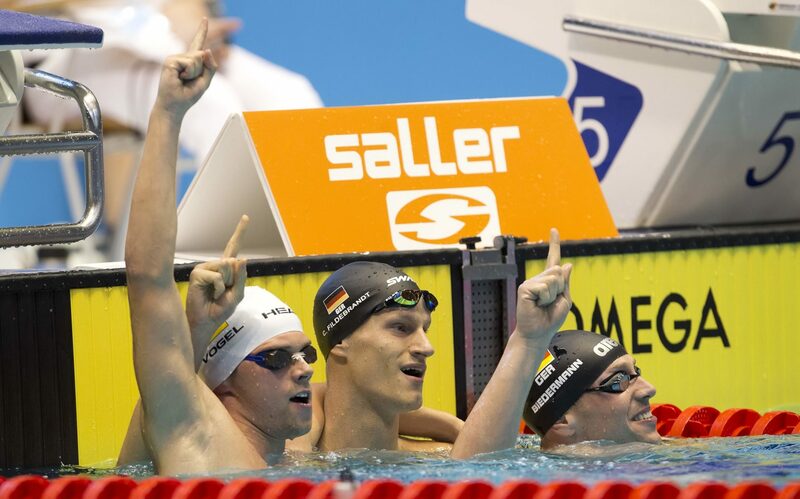 At the 2015 German National Championships Biedermann won the 200m freestyle, posting the world’s fastest 200m freestyle time of the year. At the 2015 World Championships in Kazan Biedermann qualified to swim in his primary event, the 200m freestyle. Still holding the world record in the event Biedermann qualified out of the preliminaries, and advanced to the championship final in 5th place. In the championship final took out the first 100 meters smooth and relaxed, and sat in 6th place at the turn. Although he began charging on the third 50, Biedermann only turned at the 150-meter mark in 5th place — it was his last 50 that pulled him to medal contention. While everyone else in the race had begun to fade, Biedermann had the fastest last 50 in the entire race, and finished 3rd narrowly missed taking the whole thing. His last 50 was so strong that he finished within 0.06 of silver and 0.24 of gold. 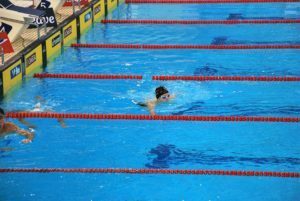 Although his time was still three seconds off of his world record set in 2009, Biedermann’s swim shows great potential for medal contention in Rio. Biedermann missed out on the podium again at his third and final Olympics. In his only individual event, 200 meter freestyle, he finished 6th in 1:45.84. He also swam the anchor leg of Germany’s 800 meter freestyle relay that also finished 6th in the final. 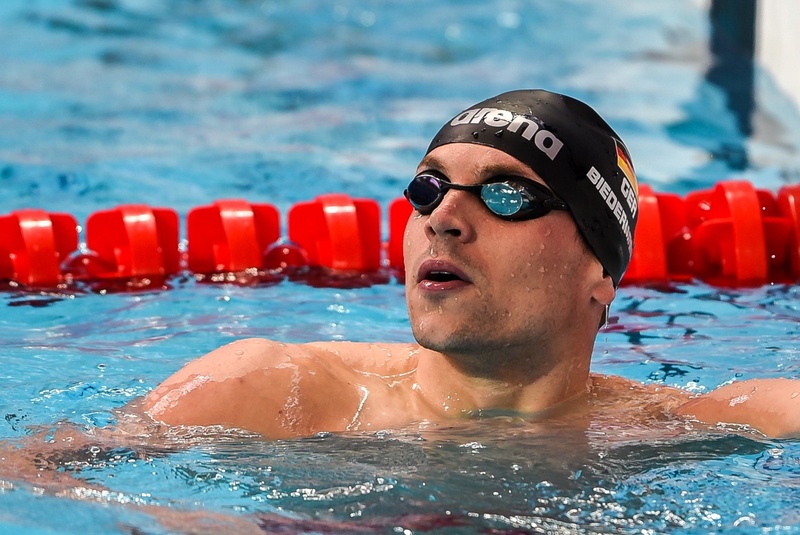 At the age of 30, Biedermann retired from swimming after the 2016 Olympic Games. At the time of his retirement, one of his two world records still stands, the 400 meter freestyle, that has survived two Olympics and multiple World Championships. He will join his long-time girl friend, Britta Steffen in retirement. She left the sport in 2013. 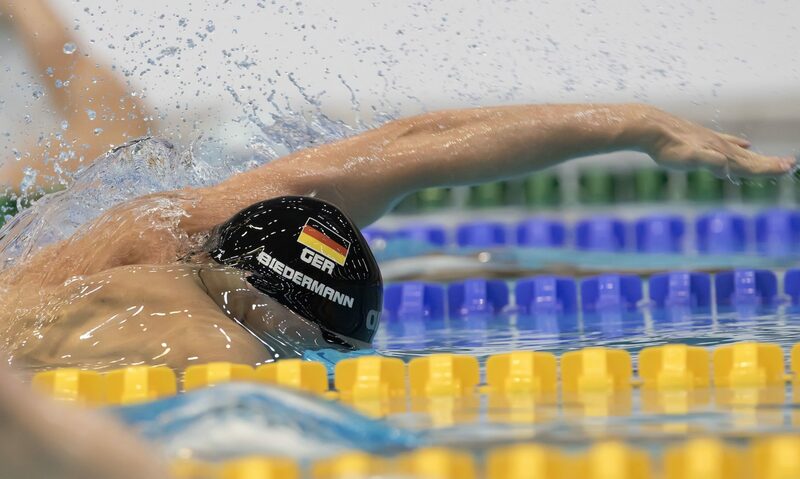 Paul Biedermann at the 2016 German National Championships, 100m Freestyle final, photo by Mirko Seifert Christoph Fildebrandt, Florian Vogel, Paul Biedermann nach dem 4 x 200 m Freistilfinale. Danke für ein tolles Rennen! Photo: Mirko Seifert. Im Interview meinte er noch bescheiden, über die 100 m Freistil wären Steffen Deibler und Paul Biedermann sicher schneller. Falsch, Damian: Du bist der neue Deutsche Meister über die 50 m und 100 m Fresistil. Und dazu noch mit deutschem Rekord über die 50 m . Mit gerade mal 20 Jahren. 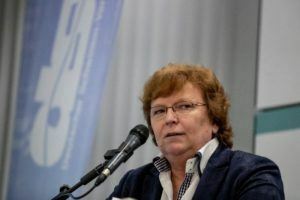 Foto: Mirko Seifert.